Zapier for weForms - Send Entries To Your Connected Web Apps Instantly! The most easiest and popular automated workflow system on the internet comes to the fastest form builder. 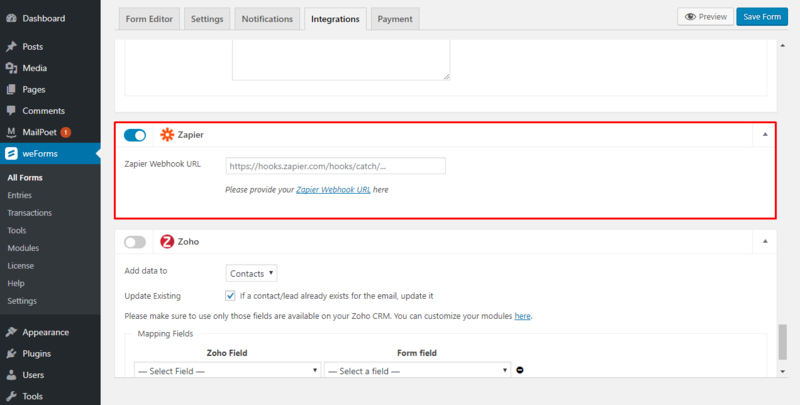 Add information to supported CRM in Zapier from forms built with weForms. 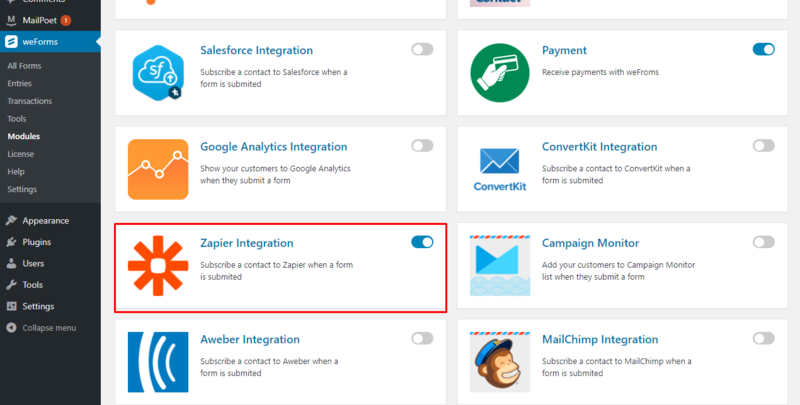 Now automate all the activities for your forms with over 750+ web apps supported by Zapier. Transfer information between weForms and these web apps to make those mundane works less time consuming. Grow your business using integrations with popular productive tools.